Who doesn’t love pancakes?! This simple flourless version makes a great breakfast. Got some brown bananas? Use them for this recipe. Topped with yogurt and blueberries a delicious and filling meal. Add chopped bananas, eggs, cinnamon, vanilla essence and salt to the blender and blend until smooth (alternatively, mash all up using a fork). Melt coconut oil or butter in pan on medium heat. Pour small portions of the batter into the pan (if pan is large enough 2 or 3 pancakes at once). Make sure pancakes are not too large, easier to turn. Turn after 1-2 minutes, until golden brown. 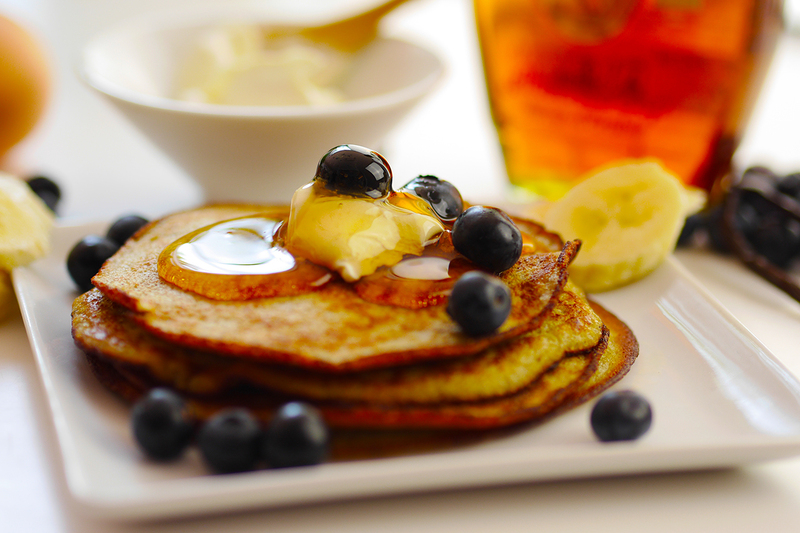 Serve with blueberries, yogurt and maple syrup.